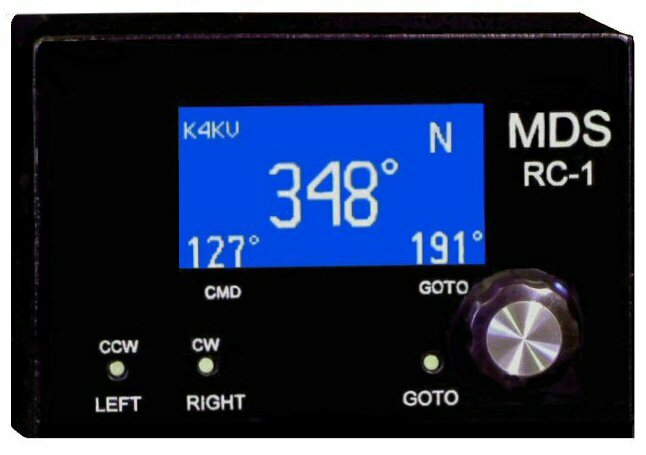 Our price is $229.95 This is the MDS RC1-Y (Digital Rotor Control) This Yaesu control box for DC powered rotators, includes a USB interface for computer control. Great for remote control of your antenna's on your remote station with certain software. 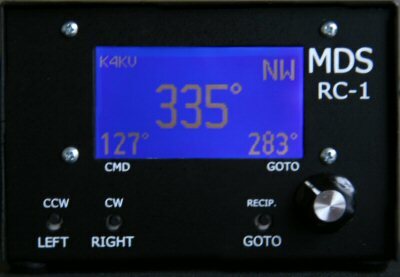 The RC1-Y (G800, G1000, G2800) is the Yaesu version digital rotor control, which runs off your station power supply, which means it also can run off emergency battery power. 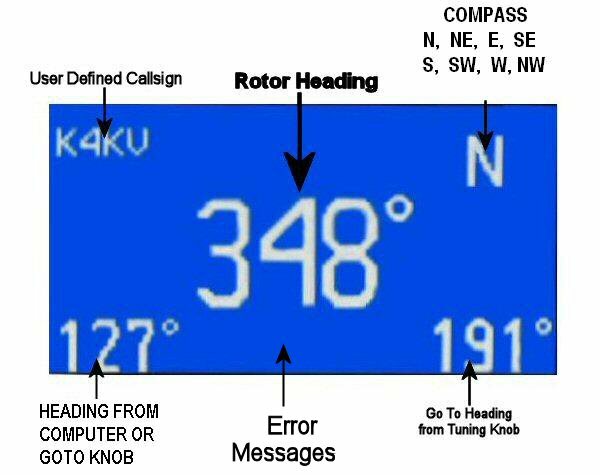 This is a close up shot of the main display screen of the RC1 Digital Rotor Control with explanations of the data displayed. 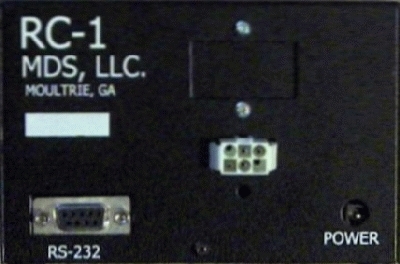 The Callsign is user programmable. The Compass Rose shows as N, NE, E, SE, S, SW, W, and NW. The CMD displays the GO TO heading generated by the computer control.